The area I cover will be in and around Uzerche, since the 14th century known as the Pearl of the Limousin. This beautiful region offers lots of possibilities for recreation: fishing, hiking, mountain biking, parasailing, canoeing, horseback-riding, you name it. 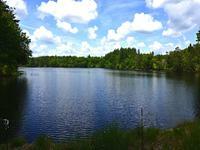 There are plenty of lakes for swimming, relaxing and enjoying the sunshine. Uzerche is a pretty village built in a curve of the Vézère-river. Like most surrounding villages, it is a lively town with a lot of activities and festivities all year round. Everyone knows about the numerous flea-markets (vide-greniers) and I always enjoy the Harvest fairs and exhibitions of old cars and working agricultural machines at the Auto-Retro. But my favorite evening-out is in Uzerche: the Friday-evening market of local products in July and August. There, you can buy the ingredients for supper and you are invited to prepare it on the BBQ’s and dine together in a pleasant atmosphere. Tip: bring your own plates, tablecloth etcetera for a colorful evening meal. Ofcourse, Uzerche has restaurants, a cinéma, an art gallery, a small gym and the former boys-lycée provides room for karate-classes and other activities. In winter you can find everything for celebrating Christmas at the Christmas-market in the renovated paper mill, called the Papetterie. These beautifully restored buildings are also used for exhibitions, musical performances and such. Tulle and Brive-la-Gaillarde are the bigger villages and are half an hour’s drive from Uzerche, Limoges, capital of the Limousin, is less than one hour. Last but not least…..The countryside. Only a stones throw away you can find yourself surrounded by a mix of woodland, pastures and fields with corn or grain, larded with little streams and ponds. There is Le Plateau de Millevaches, a Parc Régional, situated in the mountain-range Les Monédières with a variety of wild life and flowers. You will find Mont Dore, beautiful in summer for hiking and in winter (up until about March) for excellent skiing less than 2hrs. away! 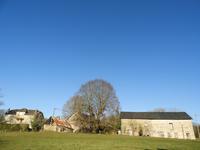 The Corrèze is rural in the best sense of the word: practically unspoiled. In other words…I love it here and I hope you will, too. My name is Jet de Heer and I am a Leggett-agent since 2016. Although in Holland my husband was doing very well as a self-employed woodworker and I was working as a substitute-teacher, we decided to go for a less stressful life. 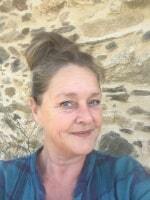 Looking for more space, open views, better weather and tranquility, my family and me moved to France in 2013. The center of France was our most logical option: Not too far away from family and friends, calm but not desolated and a slower pace of living. After a long search, which started in the Dordogne, we have found our home three years ago in the Corrèze, in a nice community where we met all kinds of friendly Frenchmen, willing to help us in all kinds of ways. Now, after three years of living in France while getting used to the calm, relaxing way of life and becoming a part of our community, I felt it was time to share this great experience with others who are toying with the idea of living (partly) in France. That is where Leggett-Immobilier came in. I will do my best to find the property that suits you most, making a selection of properties with the help of your (specific) wishes and requirements. Beautiful property comprising on the ground floor: Large open plan kitchen with massive . 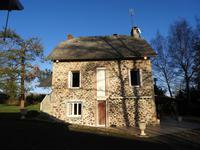 . .
House + 6 Gite complex + approved fishing lake-3450M2-, close to popular touristic village! Just a couple of minutes’ drive from the famous tourist village of Gimel les Cascades, this . 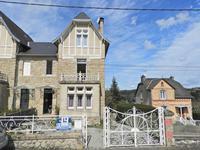 . .
---BACK ON THE MARKET---Beautiful, well maintained and spacious stone character house with 2 up&running Stone gîtes, a B&B, panoramic views and large garden with pool. Words can't describe this beautiful property! It has character features throughout, . . . Spacious property (1978) with electric entry-gate, comprising on the ground floor: entrée . . . 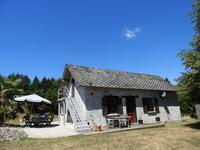 Already up and running as a luxury Chambres d’Hotes in the centre of Seilhac, one of the . . . This renovated watermill offers on the ground floor al large 'community room' for the guests . . . 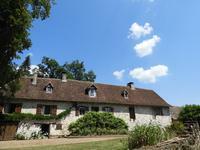 Stunning location for this house and gite complex complete with private lake, set high in the . . .
House nº 1 is fully renovated, double glazing, well insulated, dining room/salon with fire . . . 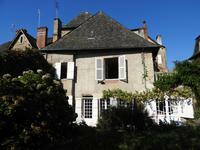 Spacious historic 'Maison Bourgeoise' 4 bedrooms, large attic, garden, an extra outbuilding . 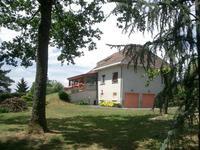 . .
Well maintained recent 4 bedroom house (1981), swimming pool and a large garden/parc on 1 . . . This substantial country house has been superbly renovated with great taste over recent . . .
House with possibility of B&B or apartment income comprising on ground floor: Entrée, living . 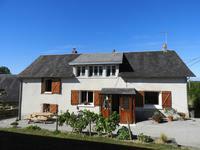 . .
GORGEOUS SECLUDED 3 BED FARMHOUSE + BARN + POOL AND FANTASTIC VIEWS TOO! This house has probably the best view from its terrace that I have seen in a long time! . . . 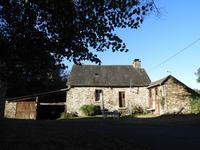 In the beautiful countryside of the Corrèze, close to amenities and villages, easy access to . 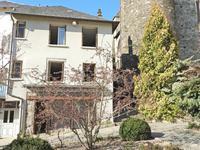 . .
A true find: Rare and beautiful 17th century 3bed town house with secluded garden (S/W) and river views in pretty Uzerche MUST SEE! REASONABLE OFFER WIIL BE CONSIDERED for this town house, packed with historic details. On . 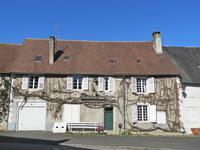 . .
Beautiful characteristic village house, comprising on the ground floor: 2 entrances, an . . . 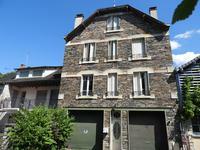 Spacious town house, comprising on ground floor: Entrée, two garages, cellar, boiler room, . 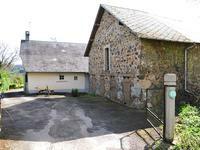 . .
Well renovated 4bed house with attached barn and garden in old village center. View! 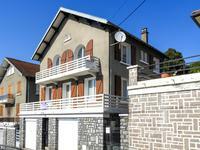 semi-detached house with cellar ground floor: kitchen/diner/salon, bedroom with bathroom and . 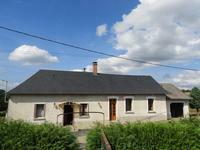 . .
Lovely farmhouse, nicely renovated and well insulated with large attached barn and large . . . Pretty 3bed house all on ground floor: Kitchen/diner with original fire place, sittingroom . . . 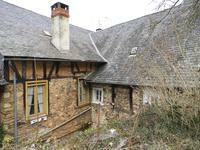 Traditional farmhouse to renovate and/or expand into the attached barn, outbuildings, . . . 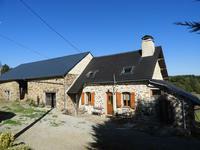 Pretty fermette with attached barn and large 1 Ha garden. Habitable but in need of an update. 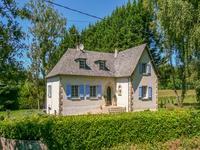 Pretty cottage with an attached barn and a lovely large 1 Ha flat garden in the outskirts of . . . 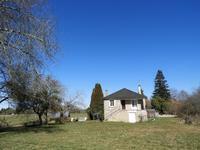 Very nice bungalow with nearly 2 acres of land and woods around it. 4 bedroom spacious character town house to update, with mains drains and gas!!! Town house comprising on the ground floor: Garage, workshop, boiler room, garden (South . . . 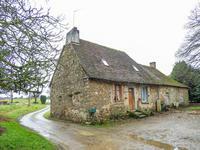 Pretty two-bed country house with sous-sol comprising: garage, boiler room, extra . . . 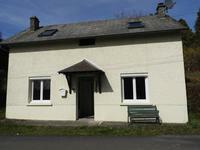 Village house with on the ground floor: hall, corridor, sitting room, utility room with . 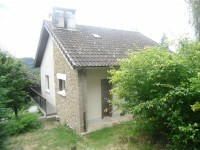 . .
Lovely renovated 2+ bed cottage, hilltop, views! 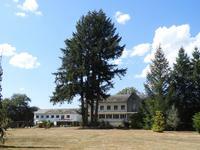 Outstanding opportunity to have a great (holiday) home or secluded retreat: Groundfloor: . 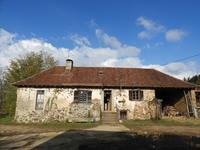 . .
Farmhouse for updating, with 2 bedroom, bathroom, dining room, kitchen all on the ground . . . GROUND FLOOR: Entrance hall Kitchen and adjoining dining room Bedroom Bathroom with bath, . 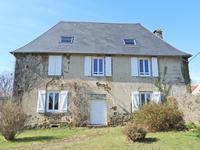 . .
Lovely fermette to renovate, lots of outbuildings, 3000M2 view POTENTIAL! On the ground floor: open plan kitchen with original fireplace, two rooms to the right, one . . .
1st house: Hall, kitchen, sitting/dining room, wooden stairs to 1st floor: 2 bedrooms, . . . Stunning views from this neat, detached 3/4 bed house with garden on edge of village. Looking out over Nedde and the stunning countryside of the central Limousin, walking distance . . . 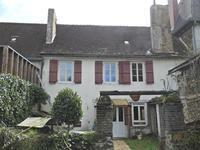 Pretty fermette: Entrance into the kitchen with original fireplace, two bedrooms (or one . . .
How about this opportunity to start a business near Le Lonzac? Currently in use by a mason . 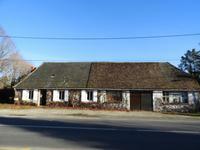 . .
Heaps of character, loads of possibilities in this 8bed former restaurant-hotel. You will . 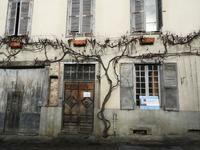 . .
2bed townhouse to renovate, garage, possibilities, view! Town house to renovate. Ground floor: Garage, utility room 1st floor: entrée, kitchen, . . .
Former shop with attached house for complete renovation, small garden on both sides, . 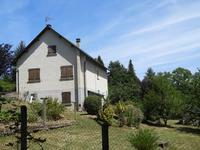 . .
Nicely located in Le Lonzac: a large semi-detached garage/workshop with habitable space above . . .